There are a number of factors that determine the best Carpet Cleaning method for your rugs. First of all, the type of fibers that your carpet is made of is likely to affect the method of cleaning going to be considered by your carpet cleaner. Additionally, the location of your carpet and your preferred drying time will also affect the choice of cleaning method. Other factors like the level of foot traffic and presence of allergies can affect your choice of cleaning method. Let us look at different methods used by professionals to clean carpets and how each one of them is unique. 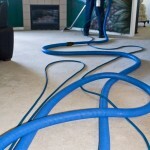 The first Carpet Cleaning methods is popularly known as hot water extraction or steam cleaning. In this method, a jet spray that utilizes high pressure is used to cover the carpet with hot water cleaning solution. This solution, together with dirt and water, is later sucked up from the carpet using a wet vacuum. The method involves a number of stages which ensure that the carpet remains spotless and the cleaning solution is completely rinsed. It is the best cleaning method because it offers deep Carpet Cleaning and so can be used in heavily stained areas. The bonnet or dry cleaning method is also very popular. During this method, the carpet is cleaned using heat as well as chemicals that disintegrate the oil inside the carpet fibers. The method utilizes a rotary machine absorbent pads that completely clean the carpet and leave it dry and spotless. It can be a rather costly Carpet Cleaning London method but it offers quick drying and is very safe to use for cleaning sensitive carpet fibers. This method utilizes less water compared to steam cleaning but it does not offer the deep cleaning that most carpets require. The other common Carpet Cleaning method is referred to as foam cleaning. In this method, foam is used as the detergent for removing stains from the carpet. The foam is later removed together with the dirt using an extraction vacuum. The main advantage of the foam cleaning method is the fact that it is perfect for maintenance. However, you will have to vacuum the carpet 2 hours after cleaning it. It is also a risk in that the foam can stick on the carpet and attract dirt. There is also another Carpet Cleaning method known as absorbent compound cleaning. In this cleaning method, an absorbent cleaning agent which is in powder form is sprinkled on the carpet and then a machine is used to work on the surface removing the dirt and grime. After a few hours or so, the area will be vacuumed off removing the dirt that has accumulated on the carpet. This method is mostly used in commercial areas which have to look clean and neat. The advantage of this cleaning method is that you don’t have to wait for the carpet to dry. However, it does not clean heavily soiled areas and you have to vacuum the carpet after cleaning is done.